I really struggle with the months of January-March. Once Christmas and New Years have passed, I’m ready for spring and summer. Unfortunately, that means that I’m usually scrambling to pull something together for my kiddos Birthdays. Theo’s is January 22nd and Josie and Margo’s is February 9th. By the time I’ve made a mad dash to figure out their Birthday plans, it’s Valentine’s Day, and I’ve done nothing to make the day special for them. Children don’t need a lot to make the day special for them. A fun Valentine’s Day Craft (click here for a super easy and fun Valentine’s Day craft that my kids love! ), some other simple activities, a special pancake dinner, and a small Valentine’s Day gift is all that we do and it is SUCH a fun and special day. Oh, we also make special Valentine’s Day cards for each member of the family and read them out loud. Anyways, a big part of our day being special is that we have a lot of Valentine’s Day books and we also get new ones from the library every year. Reading the books leading up to the day gets my kids so excited. It’s also pretty tricky to find books on Valentine’s Day! There are a lot of books on love, but not a ton on the actual holiday. I’ve included a few books that are about love because they make great gifts for Valentine’s Day; I’ve made sure to note if the book is just about love and not actually a Valentine’s Day book. This sweet little book would make a great gift for a child on Valentine’s Day. While the illustrations are quite simple, the book is full of clever puns, making it best for an older 3 or 4-year-old (and up!). This book is endearing and enjoyable for both children and parents alike! 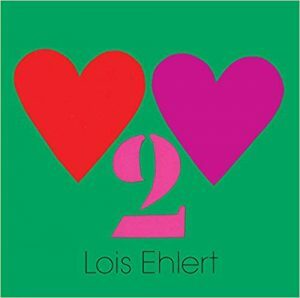 While this book isn’t about Valentine’s Day, it makes the perfect Valentine’s Day gift since it is all about love. My kids are currently in love with the “If You Give a Mouse a Cookie” series. 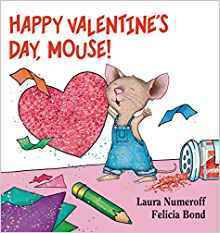 This is a short and sweet book of Mouse making Valentine’s Day Cards for all of his friends. Another favorite of ours is the Llama Llama series. 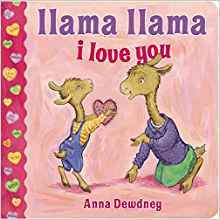 Llama has Valentine’s for all of his family and friends in this cute little rhyming board book. I mean, who doesn’t love Eric Carle? The illustrations are beautiful and the story is very loveable. 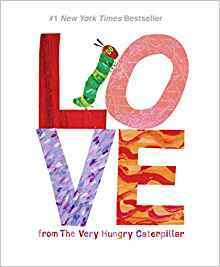 Caterpillar chomps his way through the food and shows us all of the different ways you can tell someone you love them. 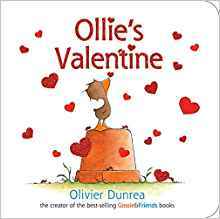 This book is best for 2-3-year-olds as it has very simple text and illustrations and is a love book, not a Valentine’s Day book. 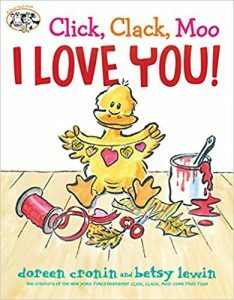 This is a precious book about Little Duck and all of her friends on the farm getting ready for Valentine’s Day. Duck is busy decorating for the Valentine’s Day party and is surprised by a special guest. This picture book is perfect for toddlers who have no idea what Valentine’s Day is all about. I feel as if every home needs Daniel Tiger books! They are so perfect for young children learn about dealing with their emotions. 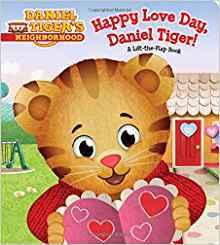 In this book, Daniel celebrates Love Day by finding different ways to show people he cares about them. This is such a fun book for older toddlers and preschoolers! Mr. 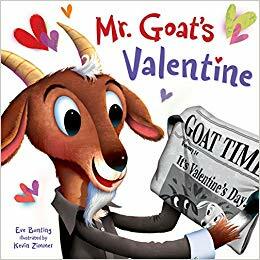 Goat reads in the newspaper that it’s Valentine’s Day (which is so precious because who even gets the newspaper now??) and sets out to find the perfect Valentine’s Day present for his first love. Ah-dorable! I adore this book, but it is definitely best for preschoolers and older. Valentine’s can still be Valentine’s if they aren’t pink and covered in hearts. Valentine’s are whatever make us feel special and loved! 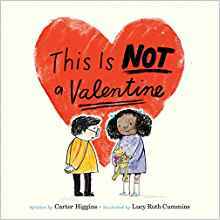 This is such a FUN Valentine’s Day book! Cat is grumpy and does not want to celebrate Valentine’s Day. He refuses to make anyone a Valentine and is increasingly annoyed by Dog trying to get him to play and throwing things over the fence. This is a great silly story and my kids get so into it! There’s a great message that’s revealed in the end about not judging things by how the first may appear. Whew! There you have it. Happy Love Day, friends! 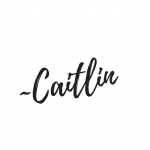 Don’t forget to follow me over on Instagram to keep up with our family!